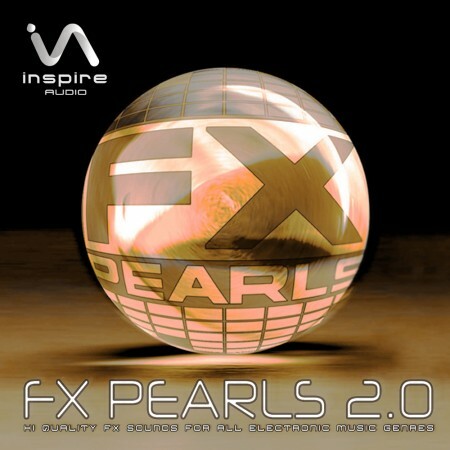 Inspire Audio FX Pearls 2.0 is packed with 525 state-of-the-art effects FX Pearls 2.0 offers a huge variety of atmospheric lounge FX, noises, sweeps, amazing LFO madness, bottom end impacts, processed stuff, and a fine collection of cutting edge kick free fx loops (126 BPM) - all royalty free.The wide range of FX Pearls 2.0 provides ready to use material in all kind of electronic genre, but still leaves enough free space for own creativity. 8 Kontakt Programs Monolith (+700MB). This is great stuff! Awesome bread and butter FX totally usable for all genres of dance. Nice addition to my sample collection. I gotta pick up all the other packs as well.